The continental GT is the one bike from Royal Enfield that everyone has been waiting for. With a fantastic price to boot, expect the Continental GT to sell in Huge numbers. Under the new GST tax structure prices for bikes abobe 350cc has witnessed an increase of one per cent in tax. This has resulted in the Royal Enfield Continental GT costing Rs 200 to Rs 500 more depending on the state of purchase. The Continental GT is Royal Enfield’s lightest and most powerful production motorcycle currently on sale in India. The cafe-race design make the bike look like a million bucks and the 535cc fuel-injected engine makes sure it has the go to match its show. The chassis, designed by Harris Performance, blesses the motorcycle with optimal stiffness and helps it handle like a dream. The clip-on handlebars egg you to expand your riding skills further and overall, this Royal Enfield will delight you like no other bike from the brand does. Q. I am planning to take Ninja 300, but now I have a confusion with Ninja 300 and Continental GT 650? Q. Which is the Best between Interceptor and Continental GT? Depend on what type riding position u like, both r pretty good bikes. Q. What is the difference between interceptor and continental GT which one is best? No thare is no issue...but check your body once...! Q. Which is comfortable for city between Gt and Interceptor, usually in traffic? Absolutely Interceptor, because of its riding posture. 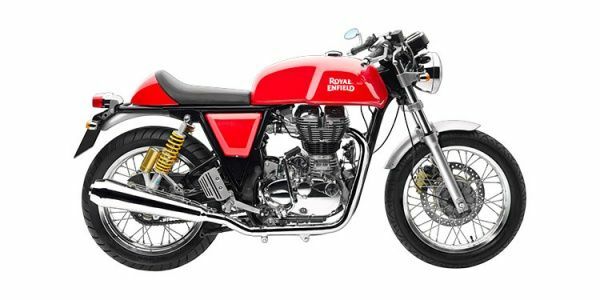 Royal Enfield Continental GT: India First Ride Pics!